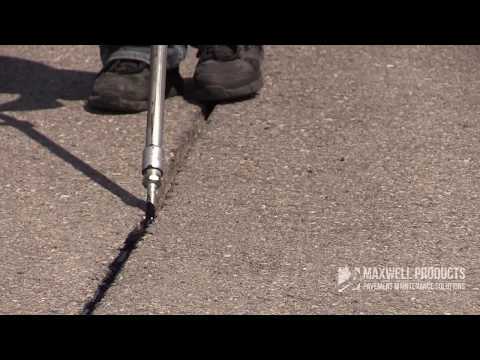 Misinformation is swirling all around us, in the news, on the Internet, permeating even the pavement maintenance industry. The latest #FakeNews is that Maxwell Products? unique, patented PolySkinTM meltable packaging clogs melters. This is simply not true. PolySkin, the industry?s first (and still best) meltable packaging, does not clog or damage melters, nor does it impede agitators. In fact, PolySkin?s expanded bead construction keeps packaging afloat at the top of the melter until fully dissolved to virtually eliminate the possibility of clogging the material intake at the bottom of the melter. And because PolySkin is composed of polymers compatible with our sealants, it melts quickly and mixes thoroughly and completely into the material. Additionally, PolySkin containers are custom molded to interlock like building blocks. This exclusive feature provides the only structural, interlocking, weather-resistant, and fully meltable container on the market. PolySkin delivers the industry?s most stable pallet, allowing for worry-free, long-term, outdoor storage and trouble-free handling on the job site. PolySkin doesn?t melt and sag in the sun, and pallets don?t topple over when the stretch wrap is removed. Products packaged in PolySkin go directly from the pallet into the melter. (It really is that easy.) With no packaging to remove or paper waste to dispose of, workers spend less time handling material and more time applying it. No package to remove also means PolySkin requires no dangerous box cutters. Don?t be fooled by competitors. No one else has a fully meltable packing solution quite like PolySkin. No one else has really come close. PolySkin doesn?t clog melters, and their packaging isn?t PolySkin. Order the original, one-and-only, fully meltable packing solution, PolySkin.